Following a rather curious accident where he broke a fountain pen in his bath and became permanently dyed blue, Little Blue is an elephant for whom fitting in is always going to be difficult. Living in Meadow Cottages with his mother Mrs Jellybun, Little Blue attends the local school with his human friends Kipper Guppy and Agatha where they are taught by the kindly Mrs Gittings who struggles to pronounce her R’s properly. Whilst busy ignoring the light ribbing provided by fellow pupil Geoffrey West, Little Blue investigates a robbery at Maythorne Manor, takes a holiday to Switzerland and even finds time to fly to the moon in a cardboard box in order to improve his creative writing. Created by husband and wife duo Harold and Ivy Purcell, Little Blue was an animated series produced by Yorkshire Television that found itself lighting up, albeit very gently, the lunchtime ITV schedule. 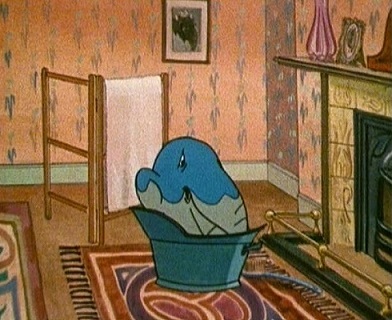 Three series of Little Blue were broadcast with the 10-minute episodes being rather splendidly animated by Digby Turpin and produced by long term Yorkshire Television producer Joy Whitby. The first series of Little Blue was narrated by Harold Purcell but, following his death in 1977, the narration duties were taken over by John Kidd. Harold Purcell’s sudden passing also meant that Ivy Purcell was joined on writing duties for the final two series by Simon Purcell. A series of books based on the series were released by Springwood Books in 1980. Ward Allen and his puppet dog Roger are the hosts of the ventriloquist spectacular entitled The Roger the Dog Show. It's not purely Ward and Roger on presenting duties though as they're also helped by fellow ventriloquist Ken Wood and his puppets Robertson the Pig and Jim the Chimp. 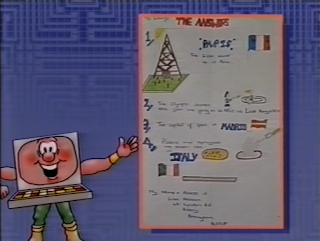 Prizing gags higher than anything else in the known universe, Ward, Roger et al strive to deliver punchlines through a mixture of studio banter and sketches such as Roger being served food in a French cafe and denying that he's a foreigner as he is, in fact, English. Bringing a variety feel to the proceedings is the inclusion of The Chucklehounds who feature in short, interstitials where their silent, clownish pratfalls are played out against a variety of soundtracks. There's an air of a family theatre show to The Roger the Dog Show and it comes as no surprise that Ward Allen and Ken Wood had both spent extensive stints in the world of family theatre before The Roger the Dog Show. Unfortunately, it's an act which loses the convivial atmosphere of the theatre when translated to television and this proves to be a major stumbling block. Ward Allen and Ken Wood are both talented ventriloquists and can command an audience, but the material required for TV needs to very strong to capture such a huge audience at home. The gags featured throughout The Roger the Dog Show are incredibly corny and, sometimes, as far removed from hilarity as you can imagine. Even the Chucklehounds routines fall flat and if anyone knows how to entertain children it's the Chuckle Brothers. Five episodes of The Roger the Dog Show were transmitted in 1983 on Tuesdays at 4.35pm as part of the late afternoon children's slot on BBC1. The series was produced by Martin Hughes who would later go on to produce The Chucklehounds, Chucklevision and On the Waterfront. There were no repeat airings of The Roger the Dog Show and Ward Allen and Ken Wood soon returned to the theatre circuit with only a smattering of television credits to follow for either performer. Hosted by Edwina Laurie (yes, Lulu’s sister) and her computer colleague Edwin, Data Run is a show which mixes current affairs (for children at least) with competitions, pop stars and sportspeople. A typical Saturday morning’s content can, therefore, include a quick trip round the 1984 Toy Fair, a look at the wildlife of Whipsnade Zoo, the results of the ‘If I Were Prime Minister’ competition, the curious sight of schoolchildren interviewing Morrissey and Marr whilst Sharron Davies is on hand to discuss swimming. 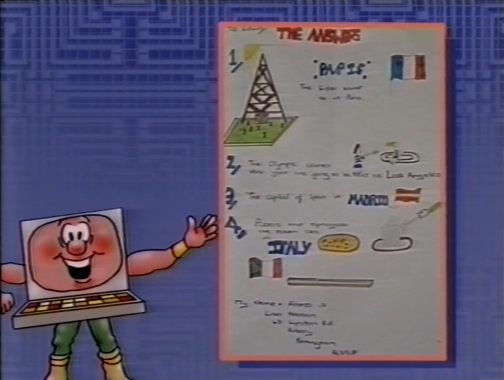 Blessed with a wonderful synth theme tune provided by Yazoo, Data Run ensured that Saturday mornings (on ITV at least) started with a plethora of absorbing features for children who had got up early. There’s not really anything to differentiate it from its peers (and it would later be overshadowed by the Wide Awake Club in the same slot), but the content is strong enough and Edwina Laurie makes for a likable presenter. 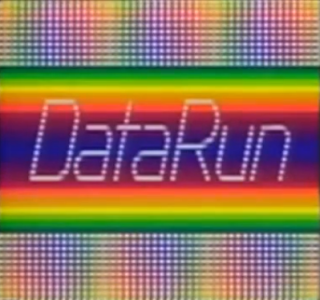 Appearing as the final part of TV-am’s Saturday morning schedule, Data Run episodes aired at 8.40am and were 45 minutes long. 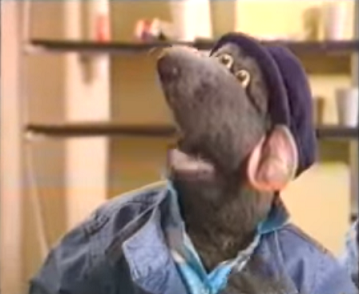 Following his high profile move from ITV, Roland Rat is looking forward to presenting his first TV show for the BBC. However, he’s overslept and wakes up just as his live spectacular is about to start. Hitching a ride on a milkfloat – the Ratmobile is blocked in – Roland and Kevin the Gerbil make their way to Television Centre. After taking the scenic route through London, Roland and Kevin arrive at Television Centre and make a start on finding the studio they’re supposed to be in. Along the way they meet a number of stars such as Jan Leeming, Frankie Howerd, Beryl Reid, The Queen and the new head of light entertainment Darcey de Farcey (James Saxon). Roland’s Yuletide Binge finds Roland Rat at the peak of his powers and provides him with a perfect debut on the BBC. Roland’s furry attitude is at full throttle throughout this Christmas special and the special guests are practically falling over themselves for hilarious tête-à-têtes. A one-off 25 minute special, Roland’s Yuletide Binge aired on the morning of Christmas Day 1985 on BBC1. Roland, as ever, was operated by his creator David Claridge who also co-wrote the Christmas special alongside Richard Curtis (yes, he of Blackadder, The Vicar of Dibley and Four Weddings and a Funeral). Directing the rodent spectacular was Tony Newman who also directed The Keith Harris Show, Blankety Blank and Crackerjack. 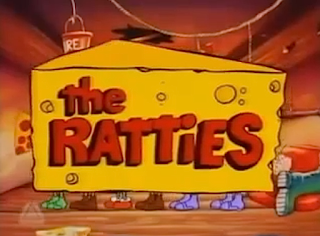 Behind a skirting board, within a picturesque, pink cottage live a collection of rats known as the Ratties. Tatty is scared of crossing the road, so tries to overcome this fear by operating a road drill. Baby Batty is a precocious marvel who can complete The Times crossword in less than 10 seconds. The Fatty Brothers are mischievous tykes who take great pleasure in putting Uncle Matty through a series of terrifying ordeals. Finally, Aunt Hatty, when she’s not busy cleaning, dreams of becoming of becoming as glamorous as a queen. Spike Milligan narrates their manic, animated adventures which take place in alpine retreats, the Wild West and, of course, behind the skirting board. With Spike Milligan's imagination biting at the leash, The Ratties is a rollercoaster ride of wisecracks (some at the expense of Harry Secombe) and contains plenty of smirks for not just children, but any adults watching. Episodes can, however, become increasingly manic to the point where they lose almost all meaning, so only one or two episodes at a time are recommended. While Spike Milligan narrated The Ratties, with a high proportion of this narration ad-libbed, the idea was conceived by his daughter Laura Milligan and developed with Mike Wallis. 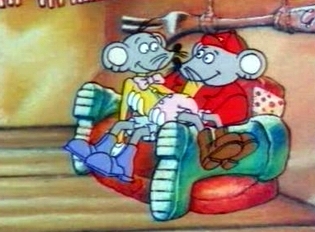 26 5-minute episodes were produced by Ratties Ltd for Central Television with the episodes being broadcast as part of Children’s ITV in a daily 4.10pm slot between Monday and Thursday. 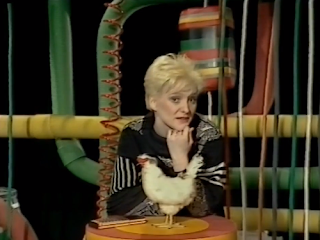 The series was repeated up until 1993. And, with that, it's time to close The Forgotten World of British Children's TV once more and retun the to the modern world. However, to provide a further respite from the 21st century, feel free to leave a comment regarding any of the above shows or any suggestions for future editions. 'Little Blue' is niggling me in that I don't remember it... and yet I do. I don't recall ever seeing it, and yet the concept of a blue elephant getting covered in ink and turning blue sounds very familiar. I remember in the 1990s Channel 4 used to have a lunchtime block, after 'Sesame Street', where they'd run various old cartoons... I wonder if it was possibly shown there and I used to have it on in the background when I was "studying" at home. 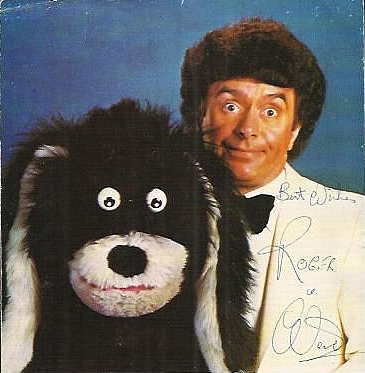 Roger the Dog I vaguely recall, maybe from a few variety shows and the like... but recall he wasn't around on screens for very long - as the article suggests, didn't really seem to have the material or act to last on television. 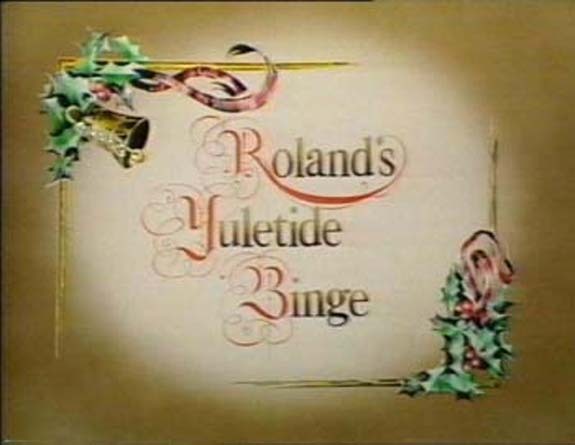 Similar to not being "allowed" Saturday morning telly, Christmas Day morning telly was generally a no-no, but some years I got away with it, and I do recall 'Roland’s Yuletide Binge', no doubt before the annual 'Noel's Christmas Family Video Accidents' or whatever. 'The Ratties' I recall but again, never did. Quite why I don't know, if it had a talent such as Spike Milligan voicing it. I probably dumped it in with the rash of "animal cartoons" of the late 1980s, of which there were a number, particularly those revolving around rats, mice and similar creatures. Speaking of the great Spike Milligan, though, it was some years later (maybe on the tail-end of what fits the criteria of this site), but 'Wolves, Witches and Giants' was narrated by him and was usually very enjoyable as a result.